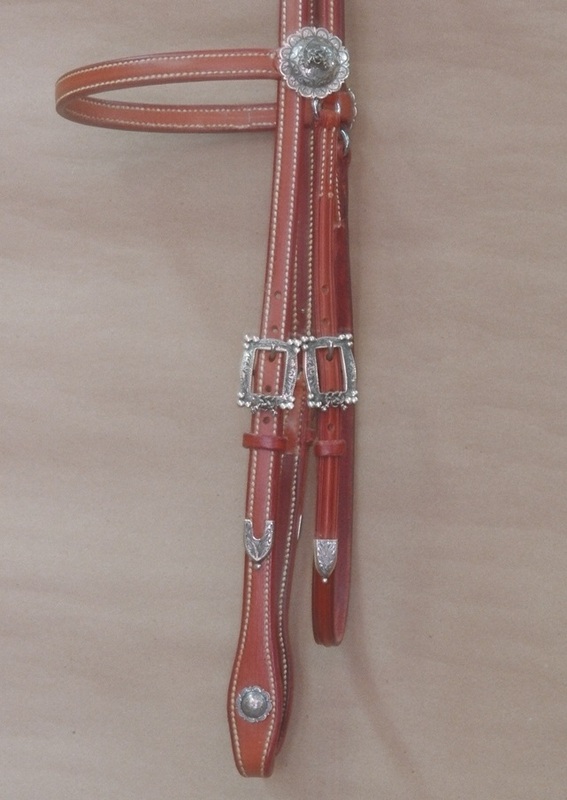 5/8 inch browband headstall of tan bridle leather doubled and stitched. All the hardware on this headstall is heavy solid sterling silver, the buckles are cast sterling with alamar knots and the 1 1/2 inch browband conchos have sterling alamar knots in the center. The 1/2 inch Thoartlatch buckle is sterling with alamar knot.The headpiece ends and the throatlatch latch billet have sterling tips with bead ends. 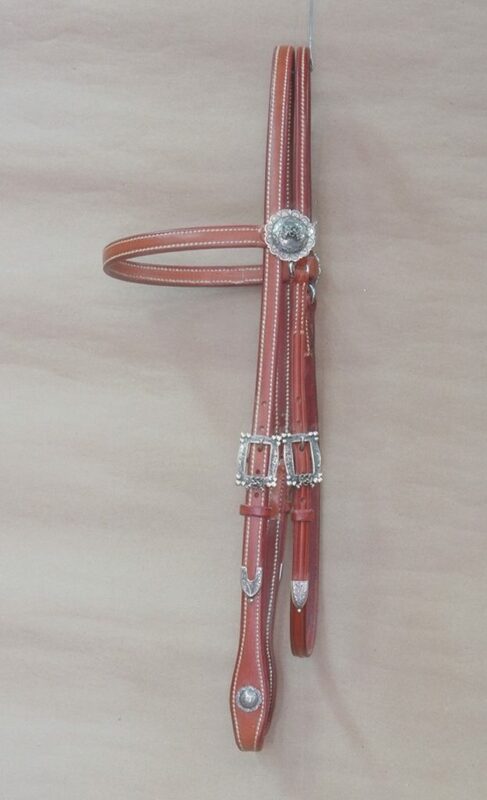 This is a very classy headstall and can be made in tan, chestnut, and dark brown bridle leather.